On your marks, get set, go… the 2016 Chew Valley 10k race is now open for entry! After all the Christmas excesses, many of us will be thinking about getting fit in the new year. Perfect for experienced or novice runners, the ever-popular 2016 Chew Valley 10k race is now open for entries at www.chewvalley10k.co.uk. 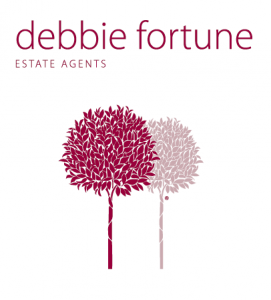 Now in its fourth year, this scenic 10km road race will take place on Sunday 19 June 2016 at 9.30am, with Debbie Fortune Estate Agents (www.debbiefortune.co.uk) as the main sponsor for both the 10km and children’s 1km events. In celebration of 2016 being an Olympic year, for the first time every 10k runner will receive a free technical T shirt included in their entry fee of £17 (or £15 for UK Athletics affiliated club runners). This year for the first time there will also be a trophy for the fastest team (five people maximum) so work colleagues, friends, family members or fellow club runners can join forces to make it more fun. The event is officially licensed by UK Athletics and is chip-timed. As with last year, the 10k race will start and finish close to the race headquarters at Bishop Sutton Village Hall, where supporters can also enjoy a range of entertainment and refreshments. Entries are now available online at www.chewvalley10k.co.uk. The event is not for profit and in 2016 it will raise funds for Bishop Sutton Primary School, the Chew Valley School Society, the charity Bloodbikes Neonatal Intensive Care Unit Support and other local sporting and charitable organisations. Sign up now and get those trainers on as the 2015 event was sold out well in advance of the day! For more information follow the event’s Facebook page and Twitter feed @chewvalley10k.